Humble Bundle co-founders Jeffrey Rosen and John Graham have stepped down from their roles as CEO and COO of the company, GamesIndustry.biz can reveal. It marks the end of an era for the digital storefront, with both Rosen and Graham having led the company for a decade. However, it is also the start of a new era, with seasoned video game executive Alan Patmore taking charge of Humble Bundle's "day-to-day operations" with immediate effect. "It's been ten years, and after doing this for a while I'm in a place where I think it's time for me to take a break," Graham said, speaking to GamesIndustry.biz. "The business is doing amazingly well; 2018 was our best year, and 2019 is off to our best start ever. We got to go onstage at the Epic keynote. We've got tons of momentum. "But we found somebody who's better for taking the business to new heights in the future than we are." Rosen added, "We're not leaving. We'll still be here -- more as advisors -- all the way until the end of the year, and hopefully a long way past that. But we're more startup kinda guys, and Humble Bundle has become huge. For our benefit and for Humble Bundle's benefit, I think Alan is going to do a really good job." While Patmore hasn't managed a digital storefront specifically, his experience in the industry is broad and undeniably impressive. Recently, he was chief product officer at Kixeye, before that he was studio general manager at Zynga, and before that he was vice president of product development at Double Fine. With Humble Bundle now an established publisher, as well as a distribution platform with a wide variety of business models, Patmore's track record is a better fit than it might appear at first. 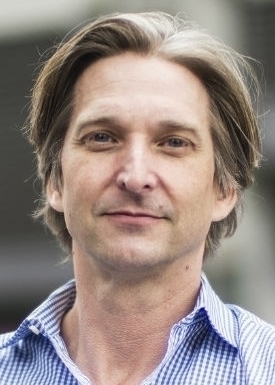 "My experience with free-to-play and social gaming is actually pretty applicable to a digital storefront like Humble," said Patmore, who will take the role of executive vice president and general manager at the company. "There are a lot of similarities in terms of process, development, economics, and even ethos. "In addition, my experience with traditional development and publishing lends itself well to the publishing side of the business. For me, it's a perfect fit -- I get to flex my muscles on both sides." "We're more startup kinda guys, and Humble Bundle has become huge. For our benefit and for Humble Bundle's benefit, I think Alan is going to do a really good job"
The altruistic streak that runs through the core of Humble Bundle is part of the appeal for Patmore, who claims to have, "always viewed Humble Bundle as a force for good in this industry." Since the acquisition by IGN parent company Ziff Davis in October 2017 -- a deal that some feared would erode the charitable giving in the company's very foundation -- Humble has been even more active in giving to charity. In 2018 alone, it donated $25 million, building toward a lifetime total of $146 million. "The growth speaks for itself," Graham said, calling back to statements he made to us at the time of the Ziff Davis acquisition. "We've prospered over the last 18 months." Mitch Galbraith, EVP and GM of Ziff Davis Games and Entertainment, added, "Jeff and John and the whole team have made it easy for us to do what we said we were going to do, which is to stay out of their way. "2018 was the best year for the business in its entire history across all metrics, and more importantly it was the year where Humble Bundle raised $25 million for charity... It's been easy for us to stay out of their way and let them do their thing." This will continue to be the case under Patmore. WIth the PC distribution market becoming more cutthroat all the time -- Discord and Epic have both emerged as serious players in the time since the acquisition -- and the indie publishing scene hardly less crowded, it makes sense to adhere to the core values that have got Humble this far. "Our focus on indie devs, our focus on what's good for gamers, and our focus on charity," Galbraith explained. "We feel that there's a really healthy future for us, even among all the juggernauts." "We offer something unique in the industry, and part of the magic and the success and the growth of our business has not really been a margin analysis kind of thing," Graham added. "It really is that holistic offering, the perfect storm that is the promotions we run. "I can imagine a world, hypothetically, in which we didn't involve charities in our promotions. And that company is much smaller and grows less quickly than we have."